In the latest revelation from a series of UFO-related documents published by the Pentagon and publicized by The New York Times, it seems the government has admitted to storing and researching unidentified “metal alloys” recovered from unidentified aircraft. Ralph Blumenthal, an “expert” with knowledge of the Pentagon’s case files, told MSNBC Tuesday that the government is still working on identifying the material, which is now stored at a facility in Las Vegas specially designed to contain it. The New York Times reports this material was “recovered” from the unidentified “aerial phenomena” depicted in a series of surveillance videos provided to the Pentagon’s UFO office by the U.S. Navy. Since the Pentagon couldn’t be sure the material was safe for humans to handle (specifics aren’t given but the material could, of course, have been radioactive), a “special facility” was constructed in Vegas to house it. This is, assuredly, creepy. 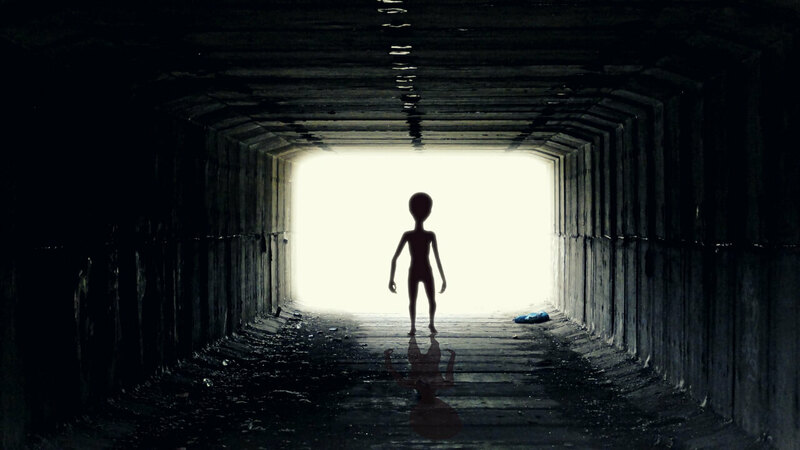 But before we start reporting that the U.S. government has “officially” confirmed the existence of extraterrestrial life (not to mention that it’s visited the United States), its worth noting that few, if any, “unidentified aerial phenomenon” turn out to be “space aliens.” In fact, as far as we know, none of them have yet turned out to be space aliens. Meteors and other formerly space-faring items that transcend our atmosphere often contain materials (or “alloys”) that aren’t found on Earth, and there are entire scientific fields devoted to studying the matter and metal that collides with our planet on what can likely be best described as “space rocks.” These pilots could easily have encountered large meteors, bits of satellites, even pieces of foreign technology, as they fall to earth from imperfect orbits. It’s not the fun explanation, but it’s an explanation. But the Pentagon files, many of which remain classified, are still pretty intriguing. And given other phenomenon of the past year, it’s not as though “a visit from extraterrestrials” would be the weirdest thing to happen in 2017.